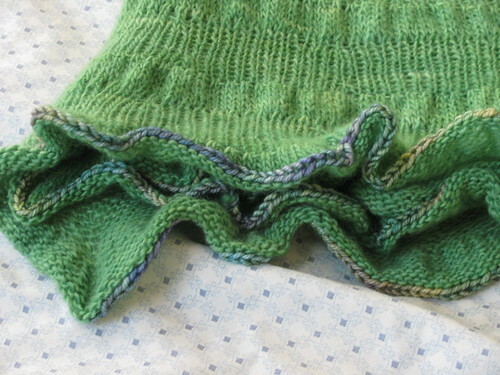 Talkapedia: What's a Knitter to Do? Say you're knitting. Maybe Citron. And you're even used the suggested yarn. You get to then last section, look over at your ball and realize you seem to have a lot of yarn. So, you pull out the scale and confirm that yes, you appear to have almost half the ball left. 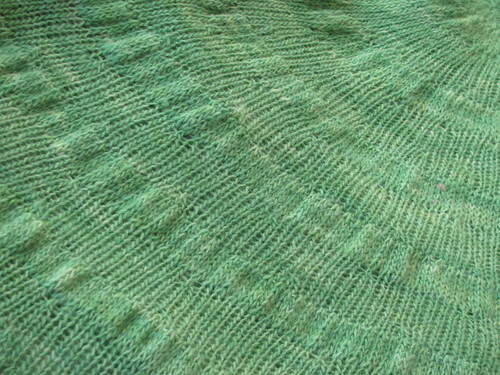 Unable to think of a plan for 200 yards of laceweight, you decide to follow the provided instructions to add a repeat. And then you get to the end of that and realize, you still have enough for another if you do a smaller final section. So you do. 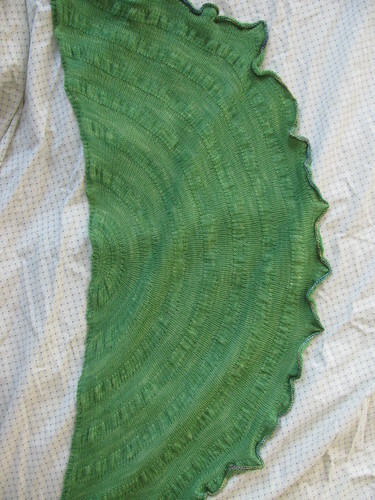 And you measure out the amount you will need to bind off and realize, oops, halfway through that last row that you are now into the amount you need for bind off, and yet, tinking back 300 stitches lasts a certain appeal. I really like the contrast color. I would have thought it was on purpose until you said otherwise.